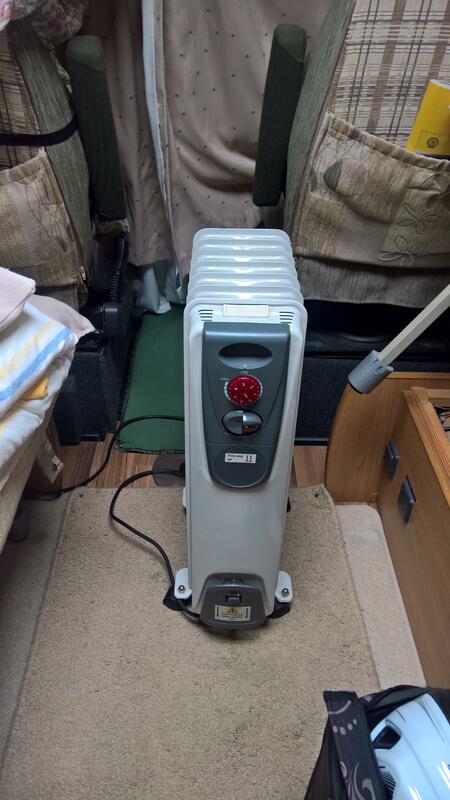 If you have electricity available to your motorhome or caravan during the cold winter periods when not in use – then it’s good idea to have a small heater with a thermostat to kick in a bit of heating when it gets really cold. With the interior doors and cupboards left open it stops the furnishings getting damp from the moisture in the air. We tend to keep all the bedding indoors during the winter months if we are not using it.